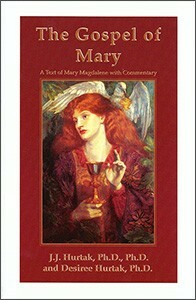 This is the Gospel according to Mary Magdalene. It reveals the seven areas within and outside of our body that need to be cleansed and healed for the wholistic fellowship needed to go on to higher levels of ascension work. This translation of an ancient Coptic Christian text provides insights into the ability to resolve the male-female imbalances in spiritual work by using the principles of the higher Christ teachings that are part of the recently found documents in Egypt.